Ahhh, 2016, what a year that was! We had referendums in Britain, elections in the US, and so many losses. We also had Olympic successes, a man talking to us from Space and some actual, real sunshine! In terms of books and reading, it was a FABULOUS year! I've read some outstanding books this year which only makes it more difficult to choose my favourite reads. However, I have managed to whittle it down to my favourite twenty. I've listed them in order of the date that I read them. There's also a mention at the end, for some of the 2017 releases that I've already read. Books that I know are going to be huge, and you really must keep a look out for. 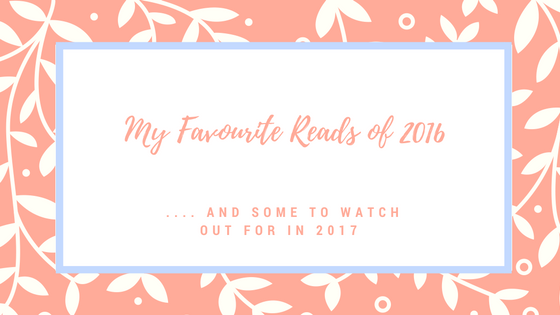 So, here goes; my favourite reads of 2016. Before I begin, I do have to mention one book that was published in 2016, but that I read in 2015. I said then that it would be huge and I'm delighted that I was correct. Published in hardback in January by The Borough Press and in paperback on 26 December. 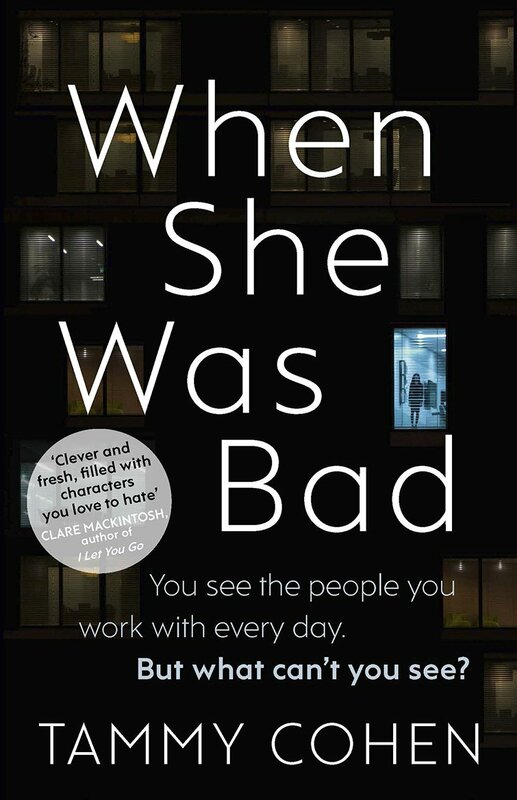 Joanna Cannon is a wonderful story, and has been selected for the WH Smith, Richard and Judy Spring Book Club 2017. 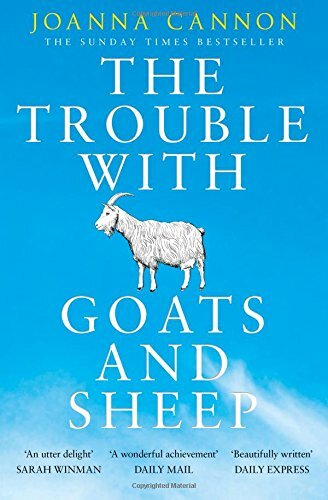 "The Trouble With Goats and Sheep is quite extraordinary. It is a very special novel that should be savoured. This is an ambitious story, but also a beautiful story." My favourite books of 2016, listed in the order that I read them. Please click on the title of the book to read my full review. "This is a captivating and all consuming novel that I absolutely loved, and will recommend and shout about for the rest of the year." 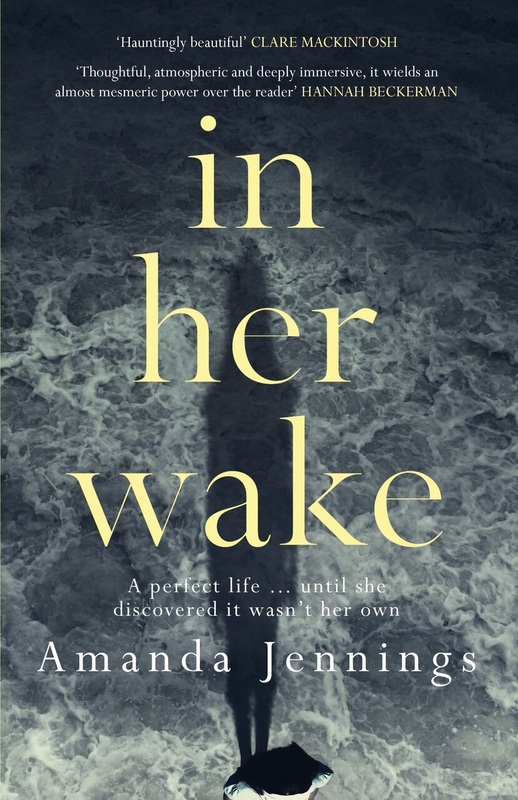 "In Her Wake is psychologically chilling, but it is also a beautifully observed story of a journey of self-discovery. Amanda Jennings' words are alluring, persuasive and so incredibly elegant, the reader is carried along effortlessly into Bella's world. Her characters scream with realism, her settings are well observed and precise and the insight into the human mind and the power of family relationships is both unsettling and convincing." "Love, being loved and how to love is the theme of this wonderful story, along with abandonment and rediscovery. 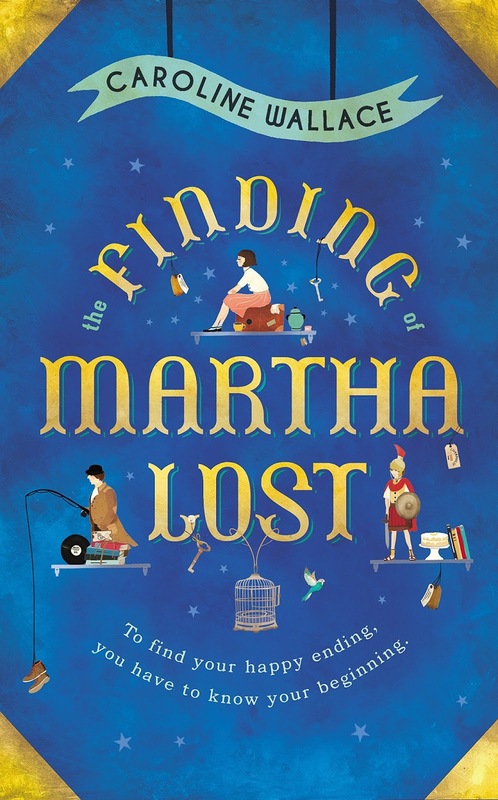 Threaded with true Northern grit and Scouse humour, The Finding of Martha Lost is a story that should be savoured, enjoyed, digested and remembered for a long long time." 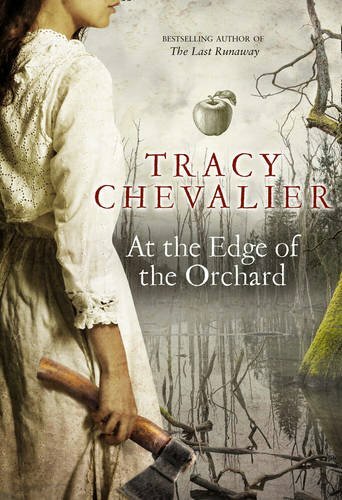 "At The Edge of the Orchard is brutal yet tender, educational and evocative. 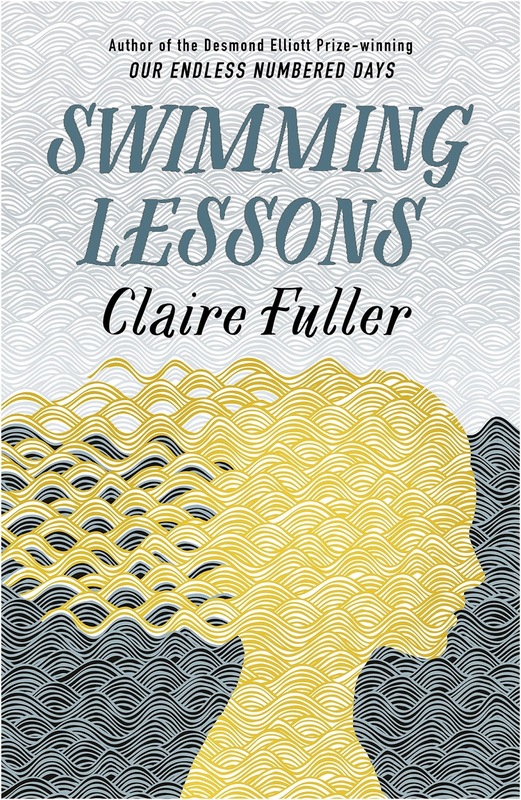 Tracy Chevalier is a first-class author and this is quite possibly, her best novel yet." "It sounds strange to describe a novel that has such dark and disturbing subject matters as beautifully written, but it really really is. There are metaphors and descriptions of place, person and events that are quite breathtaking. The pace is perfect, the characters are developed so very well, it is unflinching and engrossing. 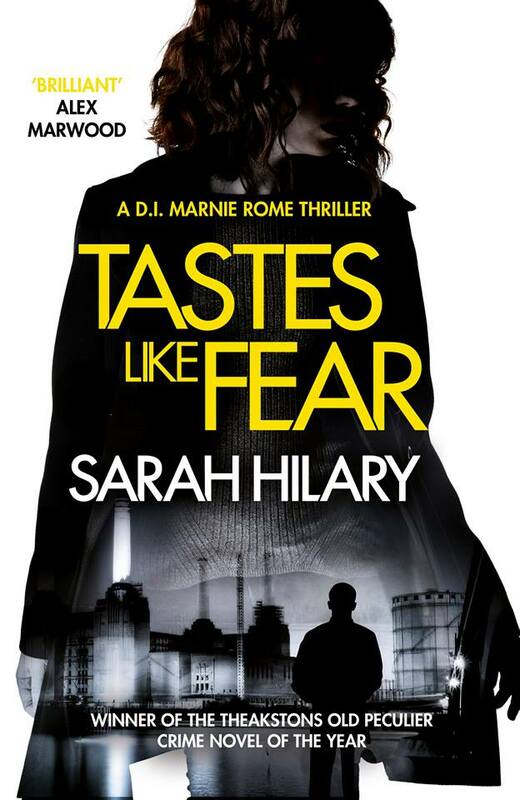 I am a huge huge fan, Tastes Like Fear is a triumph; brutal, honest and quite brilliant." 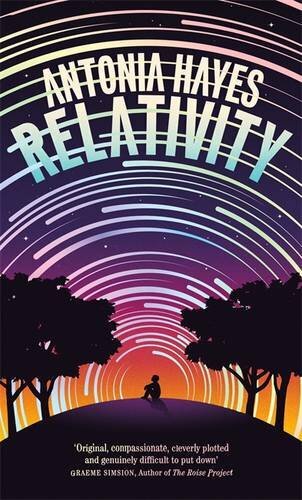 "Relativity really is a magical book. I was transfixed by it, pulled in immediately and held in its thrall until the final page. The complexity of the emotion is beautifully done, but light enough that the heartbreak doesn't become consuming." "This is a powerful and chilling story. Tammy Cohen is a wonderfully talented author, her writing is skilled and her stories are gripping and compelling. I was left completely in awe of her talent." "This Must Be A Place is a novel to talk about, to discuss and to debate. It should be savoured and treasured. 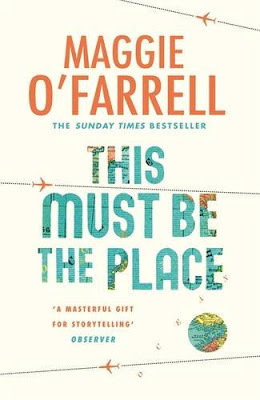 Maggie O'Farrell proves once again that she is one of the finest authors of our time." 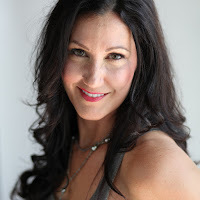 "Lyn G Farrell writes with incredible insight, I don't know of her background, I don't know how she's captured Amanda's life so well, but she really is one of the most talented and gifted authors that I've come across for many years. Mental anguish, brutality, family relationships, fear and ignorance; these themes make up the heart of this story." "The reader will meet Greek people who are so wonderfully drawn that they become a part of life whilst reading the book. 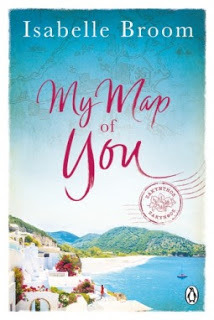 You'll be delighted by the descriptions of the island, the food and I can promise you that you will be Googling 'holidays to Greece' within minutes of finishing this heart-warming, beautifully written story." 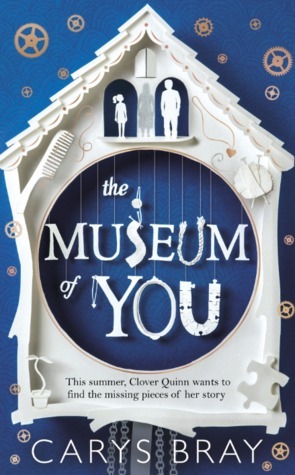 "Beautifully imagined and expertly told The Museum of You is a complete triumph. I continued to think about the characters long after I finished the story. Beautiful." "Sarah Vaughan is a very clever author. She's created a story based on love, guilt, regret and pain that is, at times quite heart breaking. She's captured the feelings and emotions of her characters, both as young people just starting out in the world, and also when they are in the last years of their lives." "Tightly plotted and excellently paced, Lying In Wait is absolutely gripping. The writing is excellent, the surprises never stop. It is unnerving and irresistible, dark with a devastating twist." "A Life Without You is a warm and witty, yet at times it is harrowing and ferociously sad. Gina's steady descent into the grip of early-onset Alzheimer's is portrayed with thoughtful sensitivity, yet does not shy away from the painful realities that Gina, Zoe and their extended friends and family have to face." "Chilling, claustrophobic, enticing and heart-pounding. Never Alone is a story that is so clever, and so frighteningly real. I raced through it to the astonishing ending in complete awe." "This novel moved me, it has stayed in my head, I have thought about it endlessly. It's so very different to the author's first novel, but it's also so very very beautiful. She deals with very important issues with bravery and honesty and I am, once again, astounded by her writing." 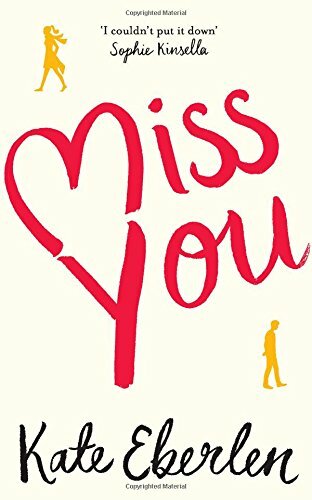 "Miss You is a truly wonderful story, an absolute joy to read. 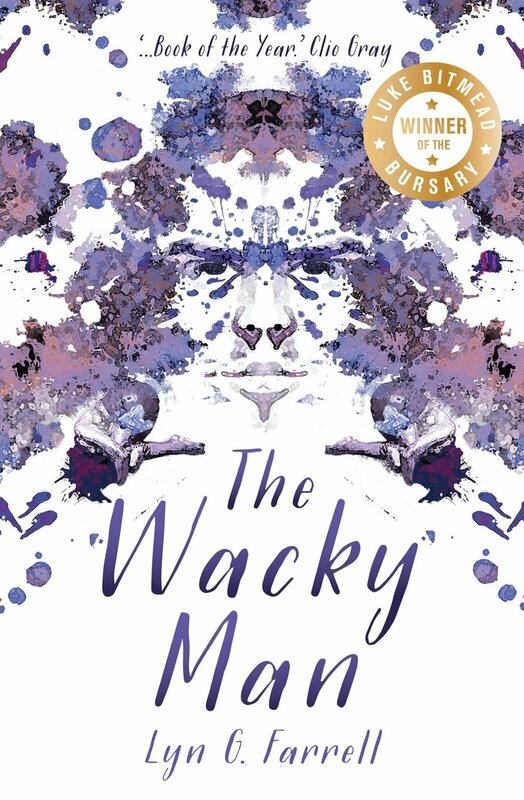 It's so cleverly structured and whilst it deals with themes that include terminal illness, mental health, grief and loss, it is also full of sparkling wit and evocative locations. London city stars and Italy takes equal billing, both brought to life; the hustle, the bustle, the culture, the people." 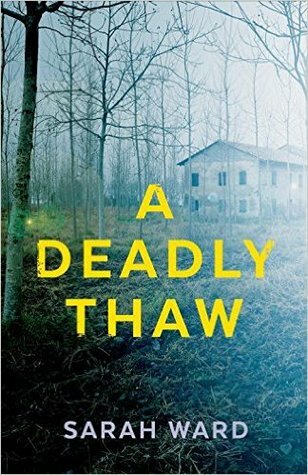 "A Deadly Thaw's characters are as strong as the plot. Sarah Ward is an extremely talented author, she's written two stunning novels. I'm looking forward to reading her next book." 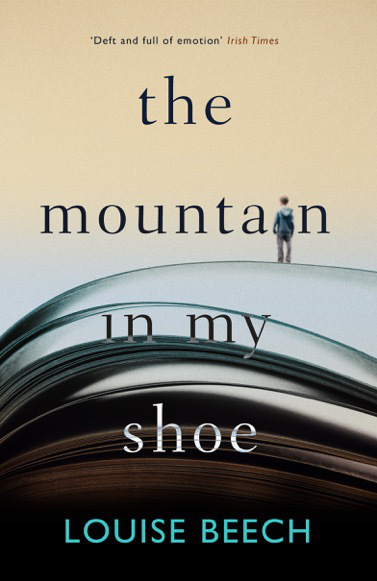 "At its heart, The Mountain in My Shoe is a story of bravery, just like the author's first book. It is absolutely captivating with characters who are still living in my mind, and a plot that packs a very powerful punch. This is an absolute triumph. Brilliant." 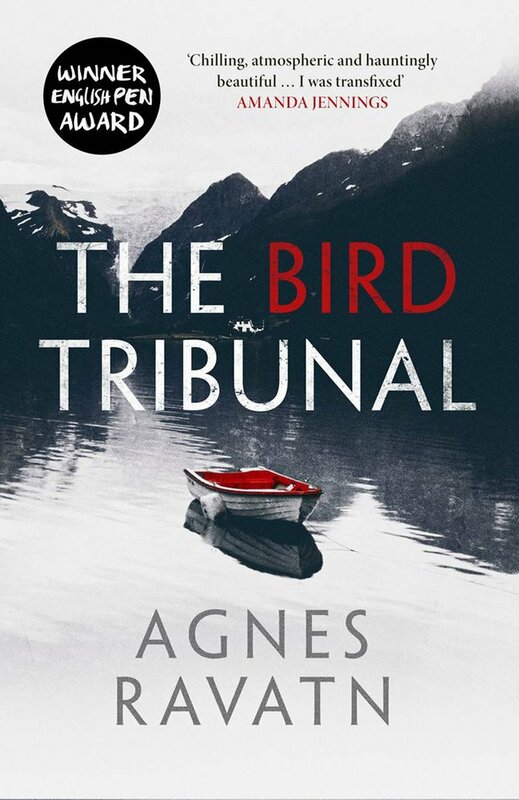 "The Bird Tribunal is a gently paced story, developing the characters and the location with ease. 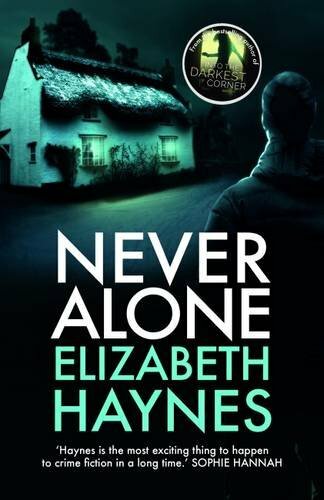 The writing is haunting, it is melodic and I was completely transfixed, hating the times that I had to put the book aside, and desperately wanting to get back to it as soon as possible." That's my list of twenty books. It was so difficult to choose the final twenty, there are so many other books that I've loved this year too. Now for a few tips for books to look out for next year. I've been really fortunate to have already read, and enjoyed these, they all come highly recommended from me. Annie's mother is a serial killer. The only way she can make it stop is to hand her in to the police. But out of sight is not out of mind. As her mother's trial looms, the secrets of her past won't let Annie sleep, even with a new foster family and name - Milly. A fresh start. Now, surely, she can be whoever she wants to be. But Milly's mother is a serial killer. And blood is thicker than water. Once a celebrated author of short stories now in his twilight years, Anthony Peardew has spent half his life lovingly collecting lost objects, trying to atone for a promise broken many years before. 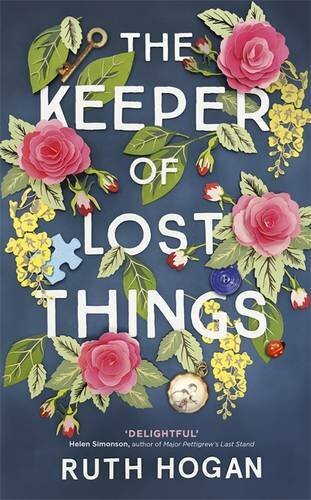 With an unforgettable cast of characters that includes young girls with special powers, handsome gardeners, irritable ghosts and an array of irresistible four-legged friends, The Keeper of Lost Things is a debut novel of endless possibilities and joyful discoveries that will leave you bereft once you've finished reading. Gil's wife, Ingrid has been missing, presumed drowned, for twelve years. A possible sighting brings their children, Nan and Flora, home. Together they begin to confront the mystery of their mother. Is Ingrid dead? Or did she leave? And do the letters hidden within Gil's books hold the answer to the truth behind his marriage, a truth hidden from everyone including his own children? Katie Taylor is the perfect student. She s bright and funny, she has a boyfriend who adores her and there are only a few months left of school before she can swap Banktoun for the bright lights of London. Life gets even better when she has an unexpected win on a scratch card. But then Katie s luck runs out. Her tragic death instead becomes the latest in a series of dark mysteries blighting the small town. The new school counsellor Polly McAllister, who has recently returned to Banktoun to make amends in her own personal life, is thrown in at the deep end as the pupils and staff come to terms with Katie s death. And it s not long before she uncovers a multitude of murky secrets. Did Katie have enemies? Is her boyfriend really so squeaky clean? And who is her brother s mysterious friend? Thirty years ago, the Longacre Children's Home stood on a London street where once-grand Victorian homes lay derelict. There its children lived in terror of Gordon Tallis, the home's manager. Then Connor Laird arrived: a frighteningly intense boy who quickly became Tallis' favourite criminal helper. Soon after, destruction befell the Longacre, and the facts of that night have lain buried . . . until today. 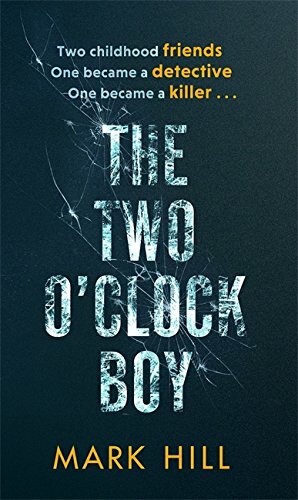 Now, a mysterious figure, the Two O'Clock Boy, is killing all who grew up there, one by one. 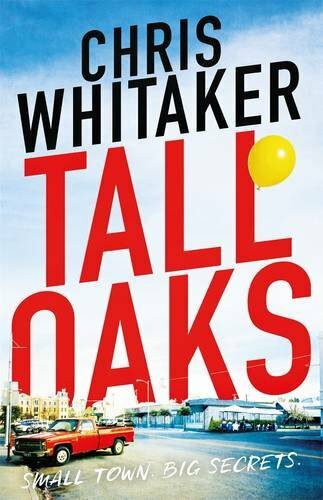 DI Ray Drake will do whatever it take to stop the murders - but he will go even further to cover up the truth. Discover the gripping, twist-filled start to a fantastic new London-set crime thriller series starring morally corrupt DI Ray Drake - the perfect new addiction for fans of Luther. 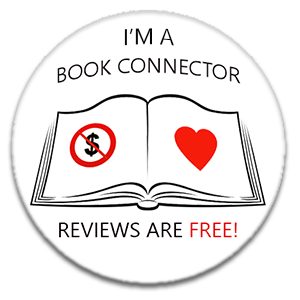 I've asked authors and people in publishing to share with us a list of the books that are important to them and have made a lasting impression on their life. 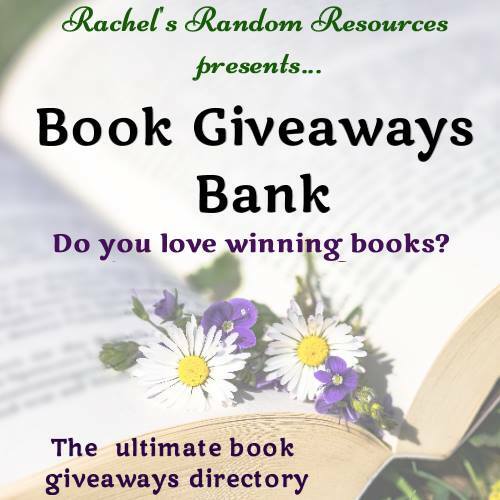 Please join me in welcoming crime author Lisa Hall to Random Things today. Lisa is the author of Between You and Me, and Tell Me No Lies. 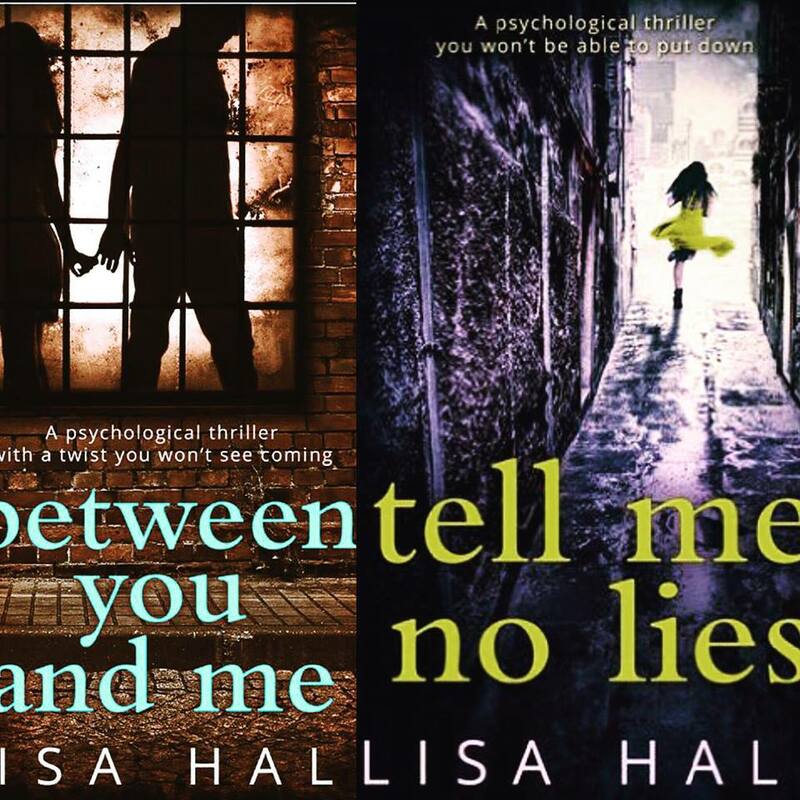 I read and reviewed Lisa's Tell Me No Lies on Random Things in October this year. 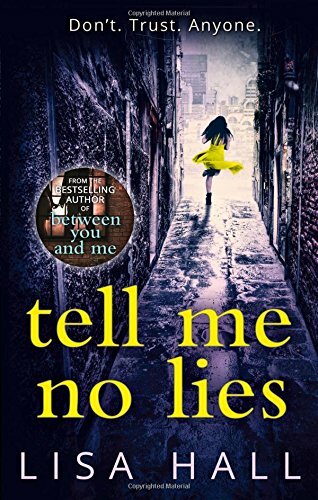 "Tell Me No Lies is a quick, but quite addictive read with some fabulous characters and a well thought out plot. Lisa Hall is a welcome addition to the domestic, psychological thriller genre"
I have to include these as a set as that’s how my Granny gifted them to me when I was a little girl. They were beautiful, navy blue bound hardbacks, with gold embossing on the front and I read them over and over. 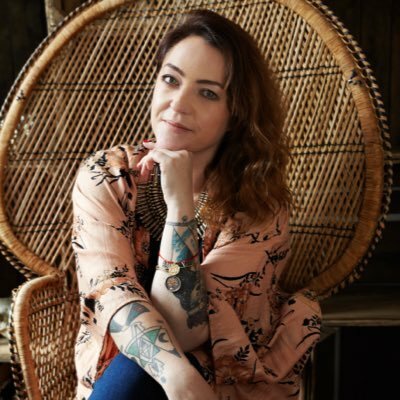 I was so in awe of Jo March – I wanted to be her when I grew up. I lost my reading mojo in my late teens, after I discovered boys and snakebite, but rediscovered it when I loved to Southsea when I was 19. 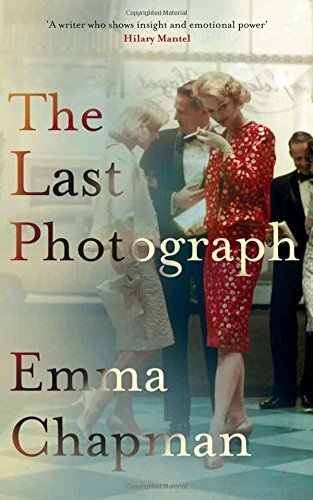 There was a little second hand bookshop on Albert Road, where you could battered, old, preloved books for 50p and I fell in love with it – I picked up a copy of this book and devoured it over a weekend. It’s the perfect mix of romance, suspense and action and I love a feisty heroine. What can I say? Who doesn’t love Jilly?! This was another battered, second hand find in the Albert Road bookshop. It was already falling apart when I bought it, and I re-read it a million times after being smitten by Rupert Campbell-Black. I recently treated myself to a new copy, after the first copy fell apart, alongside a copy of Mount – which I’ve yet to read as I’m scared I’ll be disappointed. I studied this for my English Literature GCSE and was hooked from the first page – it has villains, and suspense and is so incredibly clever. This is probably the first story I read that made me appreciate the art of the surprising twist. This is a recent read that just blew me away. The setting is wonderful, and the characterization is brilliant. The plot draws you in from the very beginning, and I became so emotionally invested in the characters. 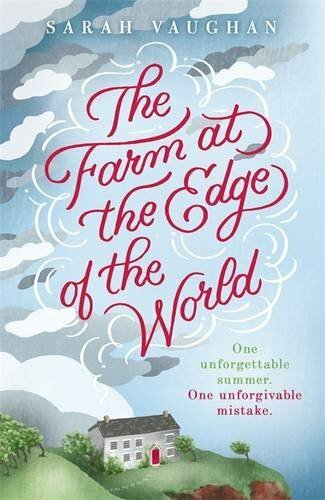 At the end the twist is so brilliantly executed that I wanted to cry – I wish I had written it myself! This is the book that I’ve recommended to everyone this year. She thought they had a perfect marriage…. When a plane crashes, Iris Griffiths watches the news unfold with horror…and then relief. Her beloved husband Will had just flown out from the same airport, but he was on a different flight. So why is his name on the list of victims? Surely there’s some mistake – her husband would never lie to her. Would he? But wading deeper into the truth of her husband’s deception, Iris begins to think the unthinkable. The Marriage Lie by Kimberly Belle is published in paperback by HQ on 29 December 2016. Iris and Will Griffith appear to have the perfect marriage. Iris certainly thinks so, especially when Will presents her with a beautiful gold Cartier ring on the morning that he is due to fly off to a conference in Orlando. Despite the fact that they've sunk all of their savings into their dream house, and will be paying off their mortgage for ever, Iris is thrilled with her gift. Later that morning, Iris is at work, she's a school counsellor, when the news comes through that a plane has crashed. The plane left from the same airport as Will did, but was bound for Seattle, not Orlando. Despite her sorrow at the huge loss of life, Iris is relieved that her beloved Will is safe. Why can she not get hold of him though? Is is phone battery dead? Is he busy rehearsing the keynote speech that he has to deliver? Iris's world crashes around her when the airline contact her to inform her that Will was on the flight to Seattle and is presumed dead. Iris now has to try to work out just who Will was? Where did he go, why did he go? Slowly, she realises that everything she thought she knew about the man she loves is a lie. She's not only grieving Will's death, she's also mourning the marriage that was a lie. Kimberly Belle can certainly hook her readers. 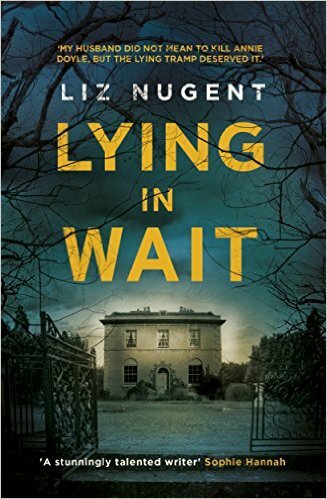 I was engrossed from the opening paragraph and found The Marriage Lie to be a clever, well crafted story. I had no idea where it was going, and every new discovery was as much a shock to the reader as it was to Iris. There are characters who deceive everyone, with twists and turns a plenty. Iris is a complex character. On the whole, I liked her, but she showed flashes, every now and again, of severe misjudgement, things that seemed the opposite to how she would advise the students who go to her for counselling. This also made her feel more realistic, more believable, and entirely human. 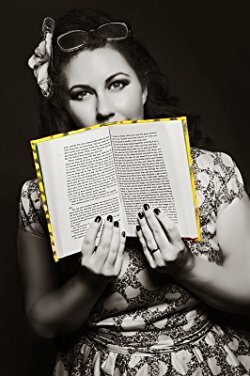 Kimberly Belle has written a fast-paced, intriguing story, with plenty of mystery. A novel that grips from page one, right through to the unexpected finish. 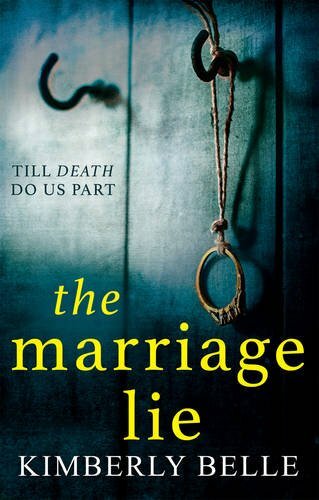 The Marriage Lie is an addictive, quick read that is well written. Full of suspense and emotional. Kimberly Belle grew up in Eastern Tennessee, in a small town nestles in the foothills of the Appalachians. 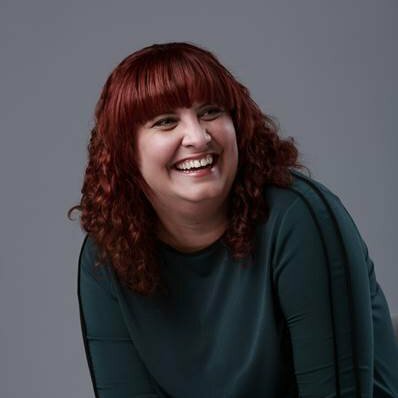 A graduate of Agnes Scott College in Decatur, Georgia, Kimberly lived for over a decade in the Netherlands and has worked in marketing and fundraising fro various nonprofits. She's the author of two novels, The Last Breath and The Ones We Trust, and divides her time between Atlanta and Amsterdam. A charming, feel good novel about the healing powers of friendship…and Frozen! Monique and Issy are teachers, housemates and lovers of musicals! Their Friday night routine consists of snacks, wine and the Frozen DVD. So when Monique’s boyfriend moves to America for a year and her sister Hope moves in because of her own relationship woes, Friday nights get a new name… ‘The Singalong Society for Singletons’! It’s a chance to get together, sing along to their favourite tracks from the best-loved West End shows, and forget the worries of work, relationships and love (or lack of it). But when Issy shares the details of their little group further afield, they get some unexpected new members who might just change their opinions on singledom for good…. 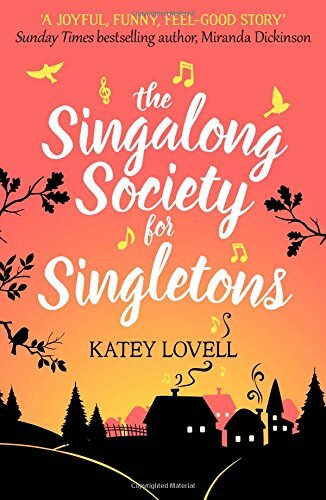 The Singalong Society for Singletons by Katey Lovell was published in paperback by Harper Impulse on 15 December 2016. Just look at that gorgeous cover! 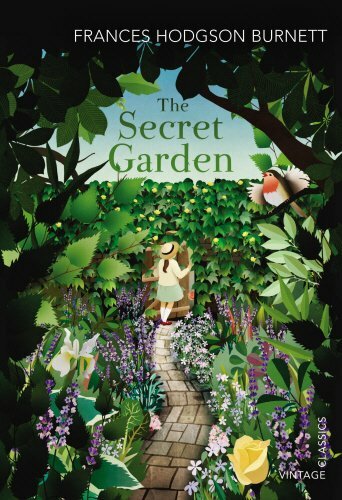 I am a 'cover lover' and this one ticks every single box for me, it's creative and eye-catching and perfectly encapsulates everything that this gorgeous story is about. Ten out of ten to the cover designer of this one! And so, to the story inside. Curl up in your comfiest armchair, light the fire, grab a cup of tea, or a glass of fizz, make sure you have chocolate and immerse yourself, you won't come up for air, I promise! As you read, the wicked world events will melt away a little bit, this really is the ultimate in feel-good story, with characters who feel like your mates and music and singing, all set in the wonderful Steel City of Sheffield. When Mon's boyfriend of ten years announces that he's been offered the chance to work in Chicago for twelve months, her world shatters. Everything she dreamt of, the ring, the big wedding, the cosy flat, just crumbles away and she is faced with continuing to share the draughty back-street terrace in Sheffield with her friend Izzy. Mon is worn out by her job as a teaching assistant, and on top of everything, her sister Hope has split up with her partner Amara and is moving in with her and Izzy. The only thing that brightens their lives is their regular Friday night event. A coffee table full of nibbles, a musical in the DVD player and joined by Mon's childhood friend Connie; the Singalong Society for Singletons is born. Singing along to Frozen, and Wicked and even an attempt at Les Mis, for a couple of hours they can forget their hum-drum lives and sing their hearts out. The Society expands when Izzy invites Ray and Liam to join them. Not only do the group numbers increase, but the dynamics alter too, and it isn't long before all of the girls are evaluating what they have, and what they want. On the face of it, this story sounds like a sweet, happy tale, and yes, it is. However, Katy Lovell also deals with some serious issues within her story, incorporating grief, loss, family dynamics and work tensions into her story. This author doesn't lecture, she shares. She's woven in the serious themes alongside the song and the dance and has created a multi-layered story populated by great characters. The Singalong Society for Singletons is not my usual genre by any means, but oh how I loved it, every page of it. It's fun and musical and warm and romantic. This is a little gem, and Katey Lovell is a fine fine writer. Katey Lovell is fanatical about words. An avid reader, writer and poet, she once auditioned for Countdown and still tapes the show every night. Getting the conundrum before the contestants is her ultimate thrill. She loves love and strives to write feel-good romance that'll make you laugh and cry in equal measure. Originally from South Wales, Katey now lives in Yorkshire with her husband and son. Shortlisted for the prestigious Premio Strega in Italy in 2014, this is the story of a broken family coming to terms, in the aftermath of the earthquake in L Aquila in 2009, with the loss of one of them - a twin sister, a daughter, a mother while living in temporary accommodation on the outskirts of the city. 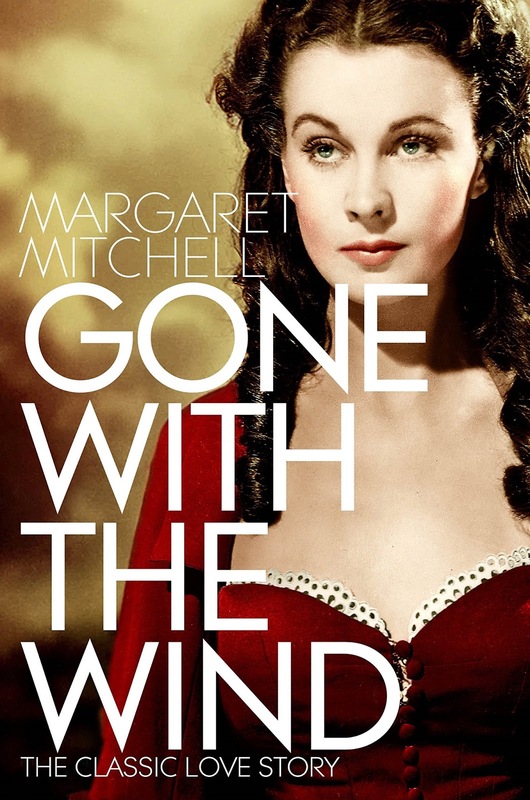 The terse and clean voice of the spiky, single, thirty-something female narrator wards off sentimentality while guiding us through the inner reconstruction undertaken by each character individually and by the family as a whole, letting us witness the extraordinary poetic power of love and the renewal of hope. 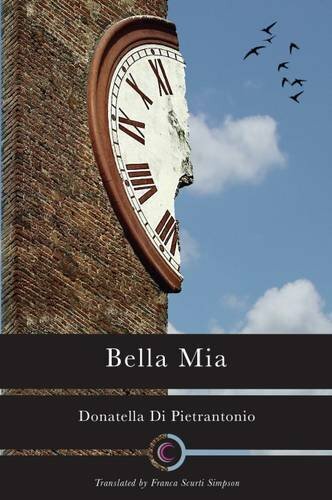 Bella Mia by Donatella Di Pietrantonio was published in paperback in the UK by Calisi Press on 23 November 2016, and is translated from the Italian by Franca Scurti Simpson. The story takes place three years after the devastating earthquake that shattered the Italian town of Aquila in 2009. Over 300 people died, 1500 were injured and 65,000 of the residents were left homeless. The earthquake not only fractured the fabric of the town, ruining houses and businesses, it also shattered families. Leaving a huge sense of loss behind in its wake, with loved ones missing and the survivors dealing with their feelings of grief and guilt and helplessness. Bella Mia is narrated by Caterina who has been re-housed in the temporary pre-fab buildings on the outskirts of the town. She lives with her mother and her nephew Marco. Marco's mother Olivia was Caterina's twin sister and her death in the quake has changed their family forever. Expertly translated by Franca Scurti Simpson, Bella Mia is a beautifully imagined story, full of raw emotion and blinding grief, and explores the dynamics of a family who grieve, but are not united in that grief. Each character is crafted perfectly, with special mention to Caterina who has many flaws, yet her vulnerability and humanity shines through on every page. The author cleverly explores the pain and the loss felt by each character whilst allowing them to slowly rebuild their lives. Olivia's presence is always felt, she will never be forgotten, but the author enables the characters to grow, slowly and gradually, using their pain to guide their way. Bella Mia is just under 200 pages long, but the emotional impact is huge. 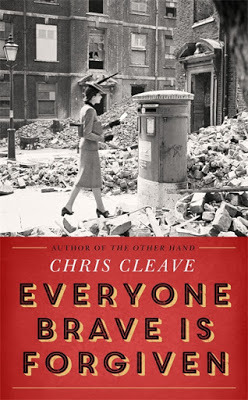 Character led and quietly moving, it is a clever and unsentimental novel. Sensitively handled, memorable and very powerful. Donatella was born and grew up in Arsita, a small village in the province of Teramo, and now lives in Penne where she practises as a paediatric dentist. From the age of nine she has been writing stories, fables, poems, and now novels. My Mother Is a River is her first novel. 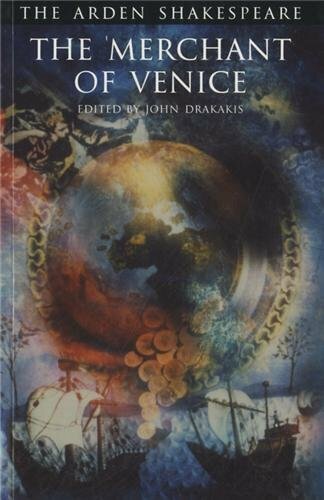 It was first published in Italy in 2011, where it won the Tropea and the John Fante literary prizes , and was translated into German in 2013. Her second book, Bella Mia, published in 2014, won the Brancati Prize and was shortlisted for the prestigious Strega Prize. 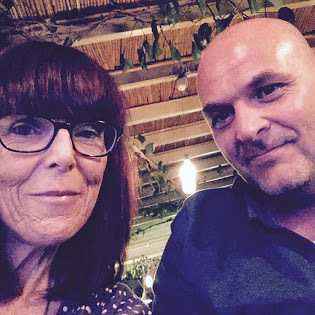 Franca Simpson – After a couple of decades working in advertising, local government and finance management, I became a freelance translator and have been working with words ever since. 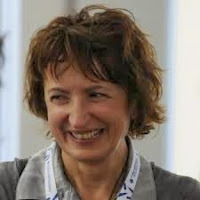 A member of the Translation Association and the Institute of Translation and Interpreting, in 2012 I went back to university to study for an MA in Professional Writing at London Metropolitan University, the first step on a self-discovery journey which eventually led me to Calisi Press. 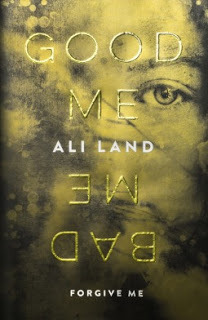 Good Me Bad Me by Ali Land @byAliLand @MichaelJBooks @PenguinUKBooks. Good Me, Bad Me by Ali Land is published in hardback on 12 January 2017 by Michael Joseph (Penguin Books) and is the author's debut novel. There have been murmurings about Good Me, Bad Me on social media for months, the murmurs have now become shouts, it’s clear that this debut novel has already made an impact and when it’s finally published early next year, I am sure that it will have everyone talking. 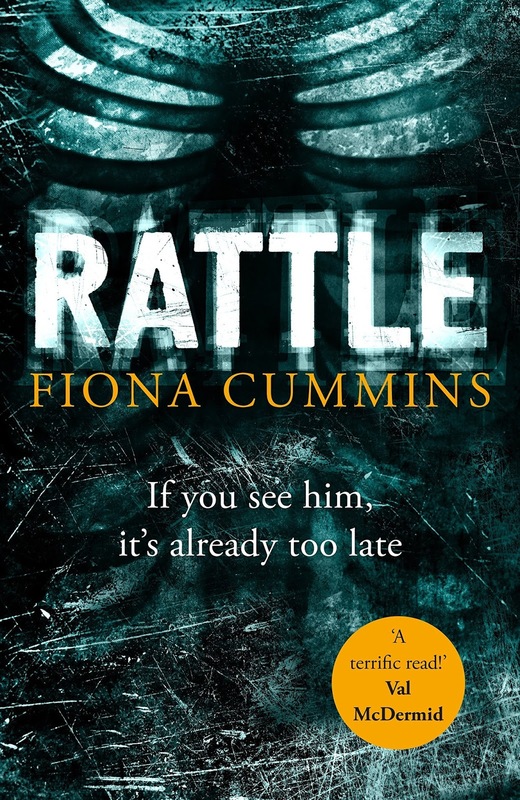 I have to admit that I struggled to connect with either the characters or the story for the first couple of chapters, but once I’d aligned my brain to the author’s unusual rhythm and lead character Millie’s staccato voice, I very quickly became swept up in what has proved to be one of the most thought-provoking novels that I’ve read for a long time. Millie, who was Annie, lives with Mike, Saskia and their daughter Phoebe. They are her foster family. Her own mother awaits trial for the murder of nine children. It was Annie who turned her in, who couldn’t bear any of it any longer. She’d suffered years of abuse from her mother, it had to stop. Annie made it stop. As Milly, she finds it difficult to adjust. The girls at the school that she attends are mean-girls, led by her foster-sister Phoebe. Milly struggles with her internal anguish. Her ‘good me’ knows that her mother has to be locked away for a very long time, has to be punished. Her ‘bad me’ misses her mother, talks to her, dreams about her and re-creates her with art. 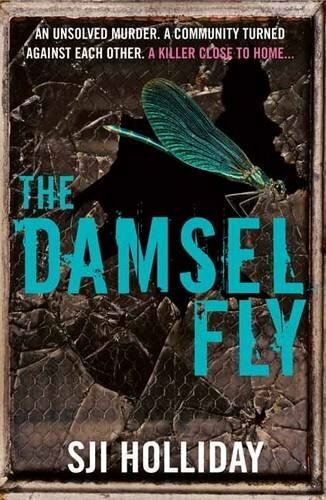 This is a novel that deals with dark, disturbing themes yet the ingenuity of it is what the author leaves unsaid. There are no graphic scenes, instead Ali Land steadily encourages the reader’s own imagination as Milly recounts and remembers, yet never quite admits. Placing Milly with a dysfunctional family who are dealing with their own toxic issues takes some of the pressure from both Milly and the reader, she fits in perfectly with this trio of people who exude an air of confidence and perfection, yet hide their own horrors behind closed doors. 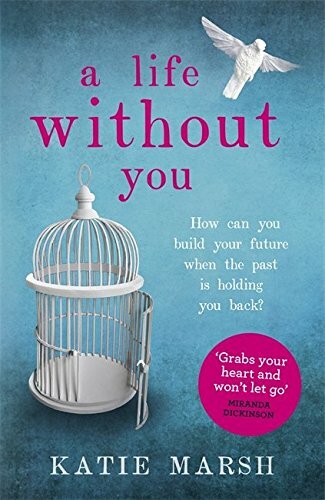 It could be very easy to dislike Milly, she doesn’t make it easy for herself, but immersing her within this damaged family gives the reader food for thought. Who knows if this would be a different story, or an alternative narrative if those who were meant to help and guide her had concentrated more on Milly than on themselves? Original, intelligent and so very tense. Good Me, Bad Me is a psychological thriller that will leave the reader wondering, and questioning every character. Ali Land is a talented, imaginative author, this is certainly going to be one of THE books of 2017. Mental Health Nurse in both hospitals and schools in the UK and Australia.